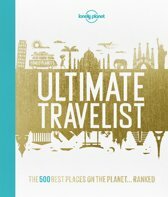 Lonely Planet: The world's leading travel guide publisher Lonely Planet Pocket Dublin is your passport to the most relevant, up-to-date advice on what to see and skip, and what hidden discoveries await you. Stroll through the Elizabethan academe of Trinity College, sample a pint of black gold at Guinness Storehouse and explore Dublin Castle; all with your trusted travel companion. Get to the heart of the best of Dublin and begin your journey now! 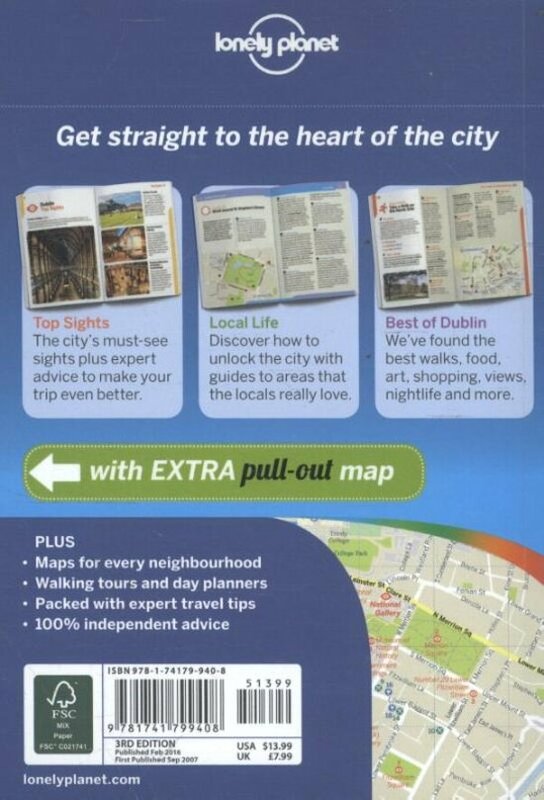 Inside Lonely Planet Pocket Dublin: Full-colour maps and images throughout Highlights and itineraries help you tailor your trip to your personal needs and interests Insider tips to save time and money and get around like a local, avoiding crowds and trouble spots Essential info at your fingertips - hours of operation, phone numbers, websites, transit tips, prices Honest reviews for all budgets - eating, sleeping, sight-seeing, going out, shopping, hidden gems that most guidebooks miss Free, convenient pull-out Dublin map (included in print version), plus 15 colour neighbourhood maps User-friendly layout with helpful icons, and organised by neighbourhood to help you pick the best spots to spend your time Covers Grafton St, Merrion Square, Temple Bar, Kilmainham and the Liberties, North of the Liffey, Docklands and more The Perfect Choice: Lonely Planet Pocket Dublin, a colorful, easy-to-use and handy guide that literally fits in your pocket, provides on-the-go assistance for those seeking only the can't-miss experiences to maximise a quick-trip experience. 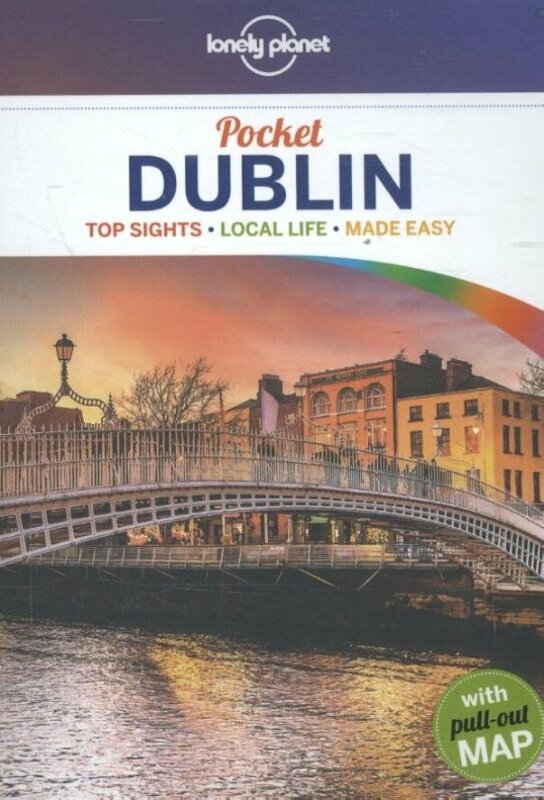 Looking for a comprehensive guide that recommends both popular and offbeat experiences, and extensively covers all of Dublin's neighbourhoods? 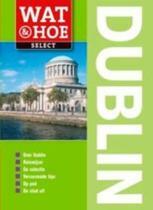 Check out Lonely Planet Dublin guide. Looking for more extensive coverage? Check out Lonely Planet Ireland guide for a comprehensive look at all the country has to offer. Authors: Written and researched by Lonely Planet. About Lonely Planet: Since 1973, Lonely Planet has become the world's leading travel media company with guidebooks to every destination, an award-winning website, mobile and digital travel products, and a dedicated traveller community. Lonely Planet covers must-see spots but also enables curious travellers to get off beaten paths to understand more of the culture of the places in which they find themselves. Handig voor op een citytrip. Klein en alle info die je nodig hebt!